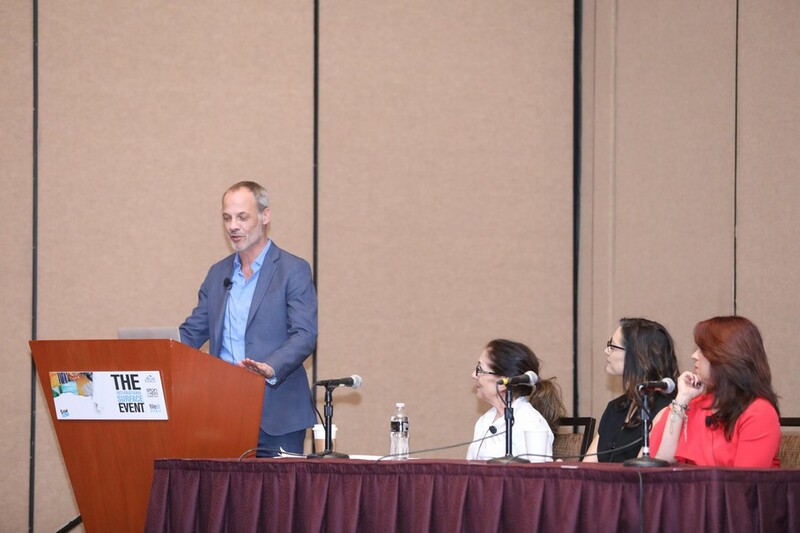 Experts from across the design industry discuss the importance of health and wellness in the design process at The International Surface Event. House Tipster always wants its followers to be "in the know" on what is happening in interior design. The subject of "wellness and health" in projects is now at the forefront of design projects. 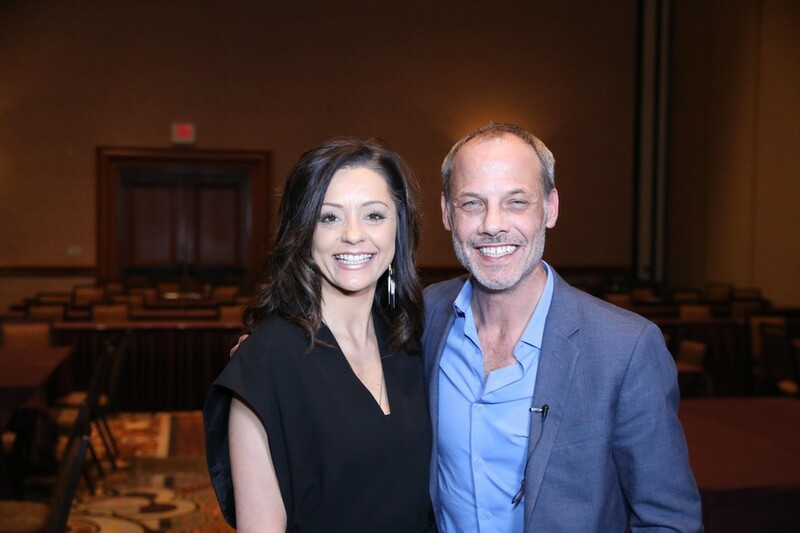 House Tipster attended a dynamic lecture at The International Surface Event (TISE) in Las Vegas on this subject, and we were able to spend a few minutes with presenters Sarah Harris and our show expert Christopher Grubb. It was a special opportunity to hear more about their lecture so our viewers can learn more about this exciting movement in interior design. 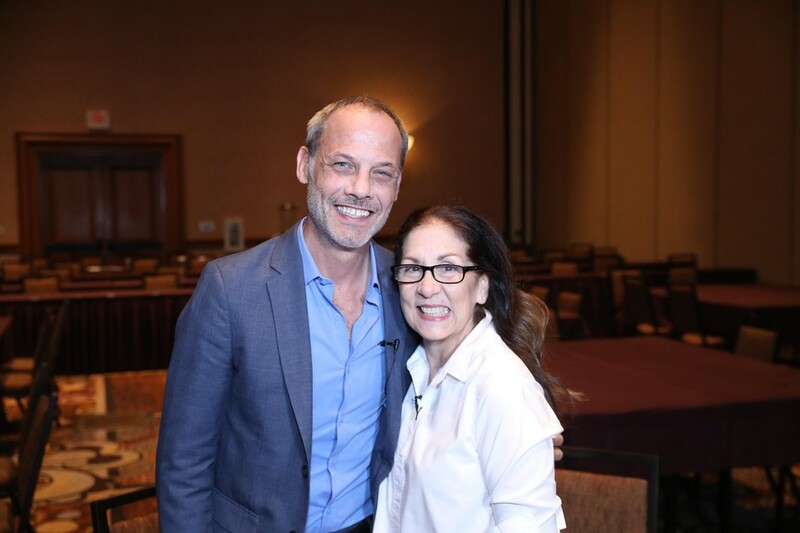 Angela Harris, who founded the internationally-acclaimed firm Trio Environments out of Denver, Colorado, used her insight from years of design experience to address incorporating a mind and body balance into everyday living spaces. She expertly expressed several ideas that she believes everyone should consider in their interior designs to help bring health and wellness to the forefront. Christopher noted, “As designers, these ideas are intrinsic,” and he agreed with Angela that professional designers look at things like light, water, and fitness when designing spaces that promote wellness. But what can the everyday homeowner do for their own space if they don’t have the capacity to hire a professional? According to Angela, “There are things you can do that are both affordable and attainable.” These include incorporating more natural light into a room (which is often free). Another good area to focus on is water. “I like to add filtered water in the master bathroom, kitchen, and the play areas,” she explained. Finally, reconfiguring your space is a smart and affordable way to change your behavior and incorporate health benefits. All in all, small and simple steps are all it takes to bring in more wellness. “If you’re a homeowner and you want to make a simple change, you can!” Angela emphasized. To learn more about what stylistic and wellness-minded elements Trio Environments adds to the spaces they design, go to their website. Laura Muller, co-founder of Four Point Design Build in Los Angeles, CA., has spent her career focused on character development. It all began when Laura was a set designer for the theater. “We would dissect the character and then create a set from that,” she explained to Christopher. Armed with knowledge about how to space a space define a person, she moved into the world of design-build. As a designer, Laura feels comfortable getting to know her clients and creating a space for their personal needs. “I like to understand the particular needs of the occupant,” Laura said, and Christopher mirrored the sentiment. From there, Laura works to bring in health and wellness-related elements to make her clients feel at ease in their own spaces. Laura and Christopher agreed that feng shui is a good place to start as someone starts to create a healthier living space. “It’s a real thing. And you can feel the energy in the room.” Feng shui, applied properly, ensures a room feels harmonious. That’s some food for thought! Laura suggests that homeowners consider the purpose of each room in the home and design accordingly. For example, if decorating a home office or homework area for children, go with pale blues and greys because they help with focus. On the same note, stay away from colors like red, yellow, and bright green which are over-stimulating and distract young children. Additionally, Laura wants homeowners to know that they “shouldn’t be afraid of white” because it actually is proven to reduce anxiety. In summary, Laura suggests incorporating healing design centered around color, texture, and placement of furniture. Head to Fourpointdesignbuild.com to learn more about Laura’s mindful design services. We want to extend our gratitude to Christopher Grubb, Angela Harris, and Laura Muller for their expertise and clever takeaways. Thank you for letting us in on your thoughtful conversations.